Stephen Quinn chats to the mayoral candidate about Vancouver's housing supply and demand, homelessness and the challenges of running as a female, independent candidate. Vancouver's municipal election is a little more than a month away and the field of candidates is crowded — regardless of whether the ruling Vision Vancouver party decides to run anyone or not. Every week until the vote on Oct. 20, The Early Edition host Stephen Quinn will saddle up for a bike ride with a different mayoral candidate to get to know them, and their policies, a little better. 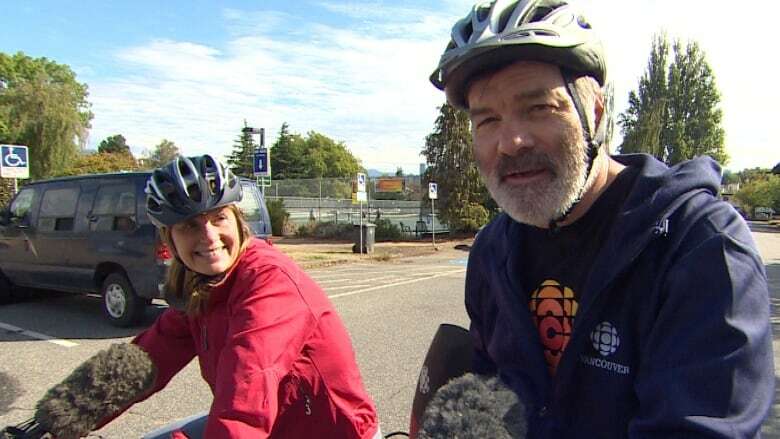 For the second episode, he met up with independent candidate Shauna Sylvester for a ride from Kitsilano to Point Grey.